Gaius Valerius Catullus (ca. 84 B.C.E. – ca. 54 B.C.E.) was one of the most influential Roman poets of the first century B.C.E. Catullus is easily the most talented lyric poet in Roman literature, but his works were very controversial in his own times, remaining clouded over by controversy throughout the Middle Ages. Catullus subscribed to Epicurean philosophy, and his poetry, in keeping with his Epicurean beliefs, deals rather explicitly with amorous love. Moreover, Catullus fiercely criticized the political and military leaders of his generation; he openly mocked the epic style of ancient poetry, criticizing even Homer as overblown, concerned exclusively with battles and wars, and never paying any attention to the things that mattered to ordinary people. Catullus was one of the earliest poets in the history of Western literature who wrote poetry on a personal basis, focused on themes of love, family, and emotions rather than on heroes and gods. For these reasons Catullus was labeled an "immoral poet" by a number of critics; he was barred from the Latin canon of poets, and was almost never taught in schools following his death. Nevertheless, his works would go on to influence some of the greatest minds of Latin literature's golden age, including Ovid and Virgil. 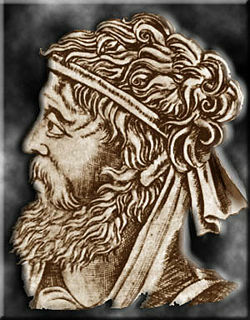 His works would continue to attract attention throughout the history of the Roman empire into the Middle Ages in Europe. Over the centuries, he has periodically attracted attention—during the Italian Renaissance, for instance, or during the period of literary Romanticism. He is, undoubtedly, one of the most important figures in literature of the ancient world. Little about Catullus's life is known for sure. Most sources, including Suetonius and the poet Ovid (Amores III.XV), agree that he was born in or near Verona, although the Palatine Hill of Rome has been mentioned as an alternative place of birth. Catullus' family were members of the leading nobility of Verona, but Catullus himself lived in Rome most of his life. In 57 B.C.E., he accompanied his friend Gaius Memmius to Bithynia, where Memmius had received a post as a provincial administrator. Catullus' only political office was one year on the staff of the governor of Bithynia. It is uncertain when Catullus died. Some ancient sources tell us he died from exhaustion at the age of 30. He is traditionally said to have lived from 84 until 54 B.C.E., although these dates are only based on allusions made in his poetry. Following his death, it is clear that Catullus' poems were appreciated by other poets and intellectuals, but politicians like Cicero despised them for their supposed explicitness and immorality. Perhaps for these reasons, Catullus never became one of the "canonical" Latin poets taught to all Roman schoolchildren. Nevertheless, Catullus greatly influenced later poets, including Ovid, Horace, and even Virgil; after his rediscovery in the Middle Ages, Catullus again found admirers. Catullus's poems have been preserved in three manuscripts that were copied from one (of two) copies made from a lost manuscript discovered around 1300. These three surviving copies are stored at the National Library in Paris, the Bodleian Library at Oxford, and the Vatican Library in Rome. These manuscripts recorded Catullus's work in an anthology of 116 carmina, which can be divided into three formal parts: 60 short poems in varying meters, called polymetra, eight longer poems, and forty-eight epigrams. There is no scholarly consensus on whether or not Catullus himself arranged the order of the poems, and although some scholars have argued that he is responsible for the arrangement, no conclusive evidence has ever been offered. The longer poems differ from the polymetra and epigrams not only in length but also in their subjects: there are seven hymns and one mini-epic, or epillion, dealing with subjects much more serious—and far less romantic—than any of Catullus' other surviving works. Occasional poems written primarily for friends and social acquaintances (e.g., Catullus 13, a poem which is in fact a formal invitation). Love poems, written for a variety of love interests. The most prominent of these is a long sequence written to a woman whom Catullus refers to as "Lesbia," in honor of the poet Sappho of Lesbos. In the many poems written to Lesbia, the poet displays a wide range of emotions and themes. The poems to Lesbia include tender love poems, poems on sadness and disappointment, and even bitter works of sarcasm. Whether Lesbia was a real woman, (and, if so, who she might be) is a question often debated by scholars, but as yet there is not enough evidence to make any solid assertions on the matter. Invectives: some of these often rude and sometimes downright obscene poems are targeted at friends-turned-traitors (e.g., Catullus 30) and other lovers of Lesbia, but many well known poets, politicians, (Julius Caesar among them) and authors, including Cicero, are thrashed as well. And that I might speak in vain to silent ashes. Since fortune has borne you, yourself, away from me. Catullus' poetry and particularly his shorter, lighter work were deeply influenced by his association with the Epicurean philosophy and lifestyle. Epicurean philosophy was focused on the notion of "pleasure," and teaches that the highest achievement any one can hope for is to lead a pleasurable life. Epicureans like Catullus have frequently been misunderstood as immoral pleasure-mongers, who were interested wholly in themselves and had no concerns for anything other than being physically pleased. This, however, is a gross misinterpretation of Epicurean thought; in reality, Epicureans were concerned with the highest forms of pleasure: the pleasure of leading a good life, the pleasure of being a good man. They believed that pleasure, and hence, goodness, could best be found through poetry and romantic love, and it is perhaps for their focus on amorous love that they were criticized in their times and continue to be misunderstood in our own. Catullus seems to have sought most for the Epicurean virtue venustas, or charm, and his poetry is most certainly some of the most charming in all of the rather staid annals of Latin literature. The ancient Roman concept of virtus (i.e. of virtue, proved by triumphs in battle or politics) that was championed by Cicero meant little to the Epicureans, and Catullus would frequently satirize politicians and military heroes, criticizing them for being proud and having no understanding of the finer things in life. In particular, Catullus rejects the notion that one can only lead a good life through politics or warfare, and he attempts, through his poetry, to re-invent Roman virtus from a personal point of view, focused not on battlefields or empires, but on human relationships, and the matters of love and life that pertain to everyone. Catullus, for instance, frequently applies the word fides, which traditionally meant faithfulness towards one's political allies, to his relationship with Lesbia and reinterprets it as unconditional faithfulness in love. Catullus's poetry was greatly influenced by the Greek neoteroi, or "new poets." Callimachus influenced Catullus especially, having propagated a new style of poetry which deliberately turned away from the classical epic poetry in the tradition of Homer. Catullus and Callimachus did not describe the feats of ancient heroes and gods (except perhaps in re-evaluating and predominantly artistic circumstances, e.g. poems 63 and 64), focusing instead on small-scale personal themes. Although these poems sometimes seem quite superficial and their subjects often are mere everyday concerns, they are accomplished works of art. In addition to this, Catullus 61 and Catullus 62 are certainly inspired by and perhaps translated directly from lost works of Sappho. Both of the latter are epithalamia, a form of wedding-poetry that Sappho had been famous for but that had gone out of fashion in the intervening centuries. Catullus sometimes used a meter that Sappho developed, called the Sapphic strophe. The Sapphic strophe is a rather difficult meter to use, as it depends upon the length of vowels rather than on syllables. That is, vowels in Sapphic meter may have to follow a pattern such as: long vowel, long vowel, short, long, short. Although this type of measure was natural in ancient Greek, where vowel length was explicitly marked, it was already quite difficult in Latin, and is extremely difficult to render in modern English. This page was last modified on 19 January 2017, at 16:31.